Giveaway ends December 13, 2016. Yep, you guessed it, another giveaway! 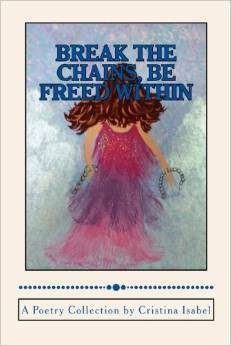 Break the Chains, Be Freed Within is celebrating its 2 year anniversary this year. So….in honor of the 2 year publication I am giving away 15 signed copies + a bookmark to all winners. Giveaway opens September 25th and will end on its anniversary date, December 13th.